Monograms - A better way to travel | UNIGLOBE Direct Travel Ltd.
There’s traveling. And then there’s traveling with Monograms. Monograms takes care of the planning and puts your trip into an all-in-one package for you. Feel like a local when you're guided around by a Monograms' Local Host and you'll never feel lost. Watch and see the Monograms difference. Yes, Cancun is beaches. And swimming pools. But there really is so much more to a Cancun vacation. 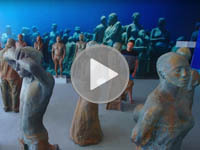 Follow WestJet Vacations as we find out there are many things to do in Cancun. Travelling with G Adventures is the best way to connect with the world in a way you'd never manage on your own. Plus, you'll support local communities and help make the world a little bit better for everyone. Welcome to a World of Good. Looking for a new, exotic destination? Thailand has something to offer for everyone. 2018 is "Amazing Thailand Tourism Year," which is designed to further strengthen the Thai tourism industry by making it more sustainable, focus on quality tourism and the Sufficiency Economy Philosophy, and maintain a balance between the economy, society and the environment. Discover cruising on an intimate scale, with a personal touch. With no packing and unpacking, river cruising is a relaxing alternative to other types of travel, offering an ever-changing mural of scenery from your ship.